Freemasonry arrived in Oklahoma City in 1889. After meeting at two previous locations, the Freemasons resided at the “Baptist White Temple” located on Broadway, just north of the Skirvin Hotel. 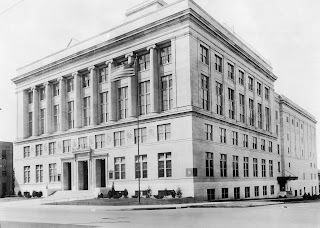 This period of fraternalism saw massive growth in membership and in 1918 the Masonic Temple Building Association, led by the India Shrine, resolved to erect a new Masonic Temple at the southwest corner of Northwest 6th and Robinson at a cost of $500,000. Construction began on the new Masonic Temple in 1921 and the Cornerstone was laid by Grand Master Leslie H. Swan, of Oklahoma City, on 13 October 1922. By the time the Masons occupied the building in 1923, the total construction cost was $1,050,000. 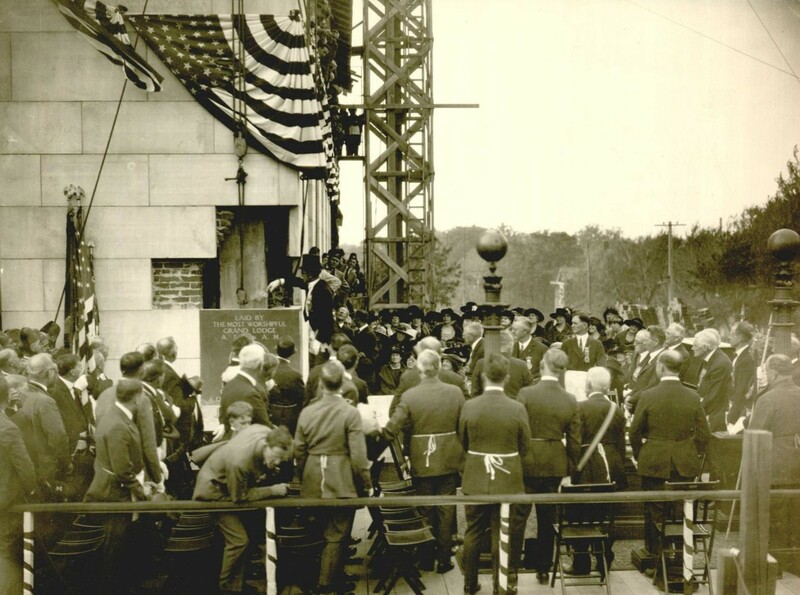 The first $500,000 came from funds accumulated by the Masonic Temple Building Association; a ten year loan was also procured in the amount of $556,000. Additionally, a second mortgage was taken out in the sum of $250,000 to decorate and furnish the Temple. Ultimately, these mortgages would be the undoing of the Temple. 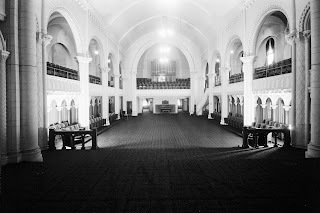 Entering the new Masonic Temple from Robinson, visitors found a spacious lobby with access to the secretarial offices of the Masonic Orders housed there. A wide corridor led directly to the Shrine Auditorium. 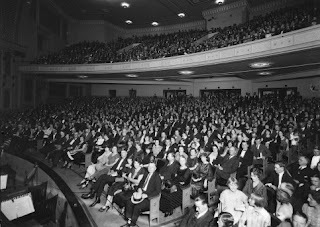 With a 40x90 foot stage, the auditorium seated 3,000 people and could be isolated from the rest of the building, with an entrance from 6th Street, for public functions in order to not interfere with Masonic activities. 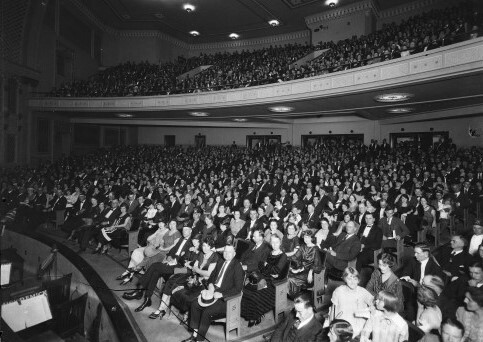 A smaller auditorium, Harding Hall, which seated 700 people was also located on the first floor. The second floor housed social rooms, billiard rooms, and lounge areas for the Masons. The top floor was comprised of the meeting rooms for the sixteen Masonic Orders that met at the Temple. The building also included a basement which served as the banquet and ball room. In 1927, the Masonic Temple Building Association approved a resolution to execute two large mortgage notes with the American First Trust Company to pay off the bonds and floating indebtedness in a move to save $20,000 in interest. The following year, an agreement was entered into with the Mid-West Entertainment Company (what would become Warner Brothers) to lease the Shrine Auditorium for a sum of $12,500 per year. 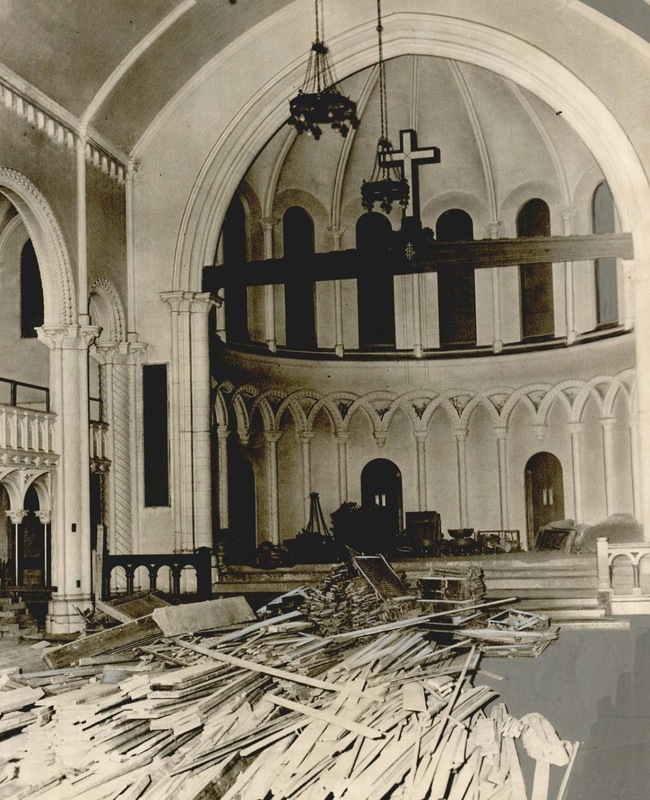 The beginning of the end came for the new Masonic Temple on 29 October 1929, when the stock market crashed. 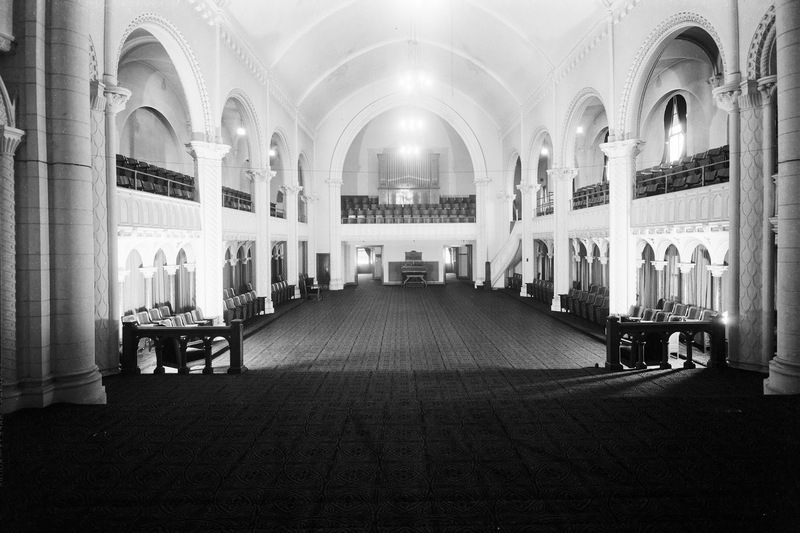 In an attempt to save the Temple, the Masonic Temple Building Association agreed to lease all of the first and second floor, except for the Shrine Auditorium and Harding Hall, as commercial business space in 1930. 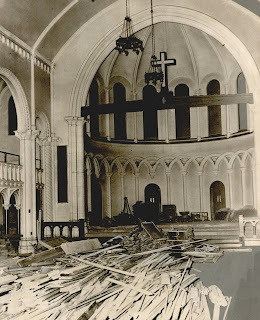 As Masonic membership began to rapidly decline owing to the economic downturn that would become the Great Depression, the Temple was officially turned over to the lender on 4 September 1931. A rent agreement was soon reached to allow some Masonic Orders to remain in the Temple. By 1934, all but India Shrine had agreed to vacate. Ultimately, the Shriners would leave the Temple in 1937 and the building sat empty for 13 years until purchased by the Home State Life Insurance Company at a sheriff’s sale for $201,000. 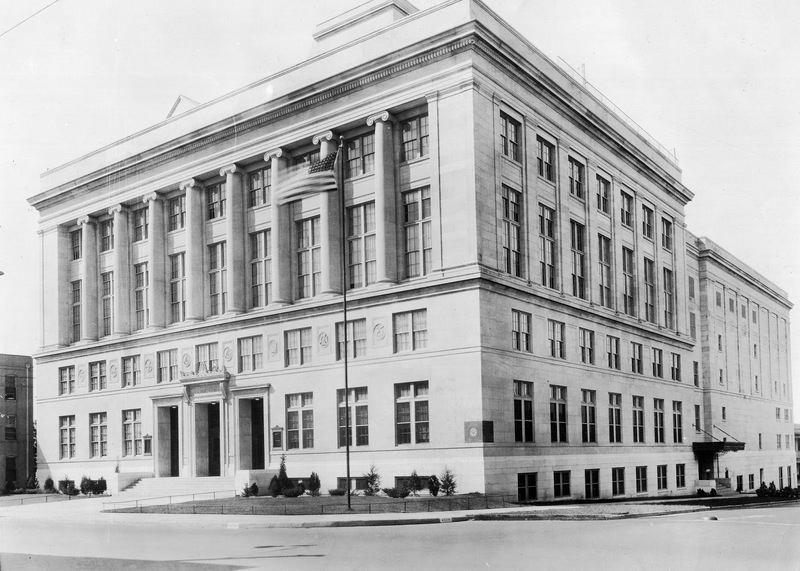 After serving as the home of the Journal Record and surviving the bombing of the Alfred P. Murrah Federal Building, Oklahoma City’s Masonic Temple was acquired by Heritage Wealth Management in 2015. Now known as The Heritage, the Temple has a new lease on life as alternative office space. † Gene McKelvey, The Masonic History of the Murrah Building Bombing Memorial Museum (Oklahoma: The Oklahoma Lodge of Research).